The artists impression a bit crap. 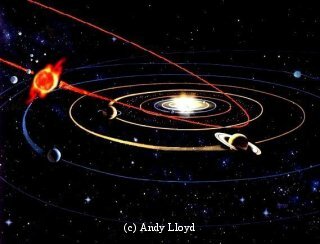 If it came all the way into the gas giant region of the solar-system, then we would have more than comets being flung around, we would have Jupiter and Saturn sized planets flung around. I imagine that we would only have one mass extinction in this case, but that it would be everything.